Going around turning lights on and off can be tedious. Perhaps it’s a first world problem, but here in Manhattan, with all the tall buildings densely packed together, light is essential, whether natural or manmade. You want your New York City home to have the right amount of light. Chances are you have invested in extra lighting for your place – perhaps lighting in built-ins that artfully draws attention to your first book collection, sconces adding soft light to your dining room, and LED spot lighting for your carefully curated artwork. You want to be able to control all that lighting easily, and not be reaching everywhere for switches to turn things on and off. With a home lighting control system, you’ll have lots of choices for doing that. Read on to learn more. A lighting control system can consolidate turning on several lights – dimmed to the precise levels you want – with one button. So if you want that bookcase and artwork set of lights tuned to the right level for daytime or nighttime, one button can do the trick. Keypads can be labeled, backlit, and some are wireless - so you can place them where convenient for you, and where they look best. Is someone always leaving the light on in the bathroom? If so, an occupancy sensor can help. You could install sensor equipped light switches in areas like this, so if there is no activity for a period, the light can automatically switch off. It’s an easy way to do your part for the environment – and save money. And the lighting control system can set that bathroom light to dim at bedtime too, making a perfect nightlight automatically. The ability to set scenes with multiple light groups is one of the best features of home lighting control. A bedtime scene, for example, turns off all lights and perhaps lights a dimmed path to the kitchen. A party scene dims lights in a living area, highlights the bar, and softy lights the patio. The bedtime scene can be manually or automatically activated, and of course, you decide when it’s party time with a push of a button. Smartphones make great remote controls because of their responsive touchscreens and ability to display custom interfaces. They’re almost always with you, so you can control your lights from anywhere. If you forget to turn lights off, the mobile app can tell you if something is on and turn it off. If you want to come back to a lit home, then you can choose what lights to have on before you arrive. Or just program a scene that detects your arrival through your smartphone location and have your home lighted just as you like it. Sometimes your hands might occupied, or you are in your car driving back to the city. The same automation that’s available via keypads and smartphones can be made to work with voice commands. Whether it’s through a smart speaker like Amazon’s Alexa, your smartphone, or through a full-fledged home automation system like Savant, you can just use the power of your voice to brighten up a room or trigger a scene. 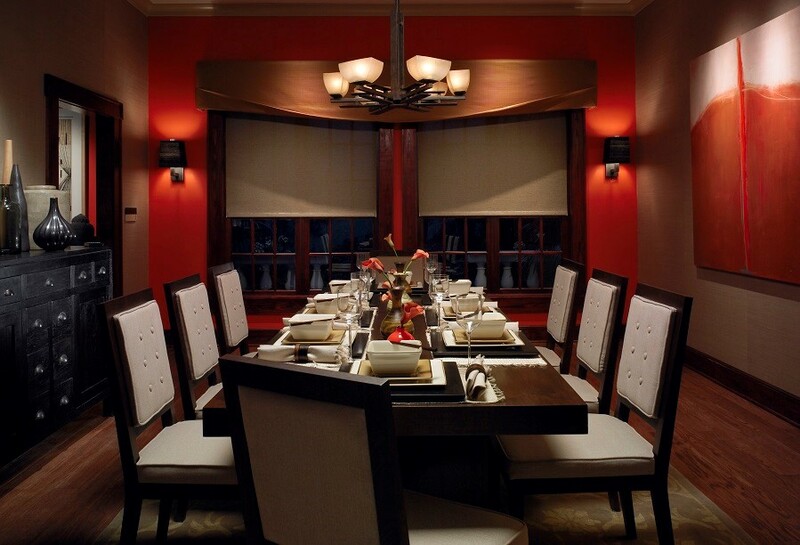 We can show you even more ways home lighting control can work for you. Contact us today for a no-obligation consultation.